These gloves were thick and the quality is great. The only reason they didn't get a higher rating from me is that I expected the heat to go into my finger tips and for this reason, I am returning them. Otherwise, they worked well. Heated up on the back of the hand as shown and they were easy to use. 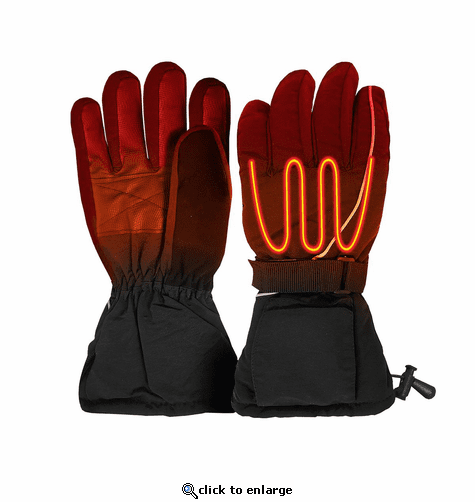 The warming gloves heat up almost instantly. Very warm. Easy to operate. Good fit. Gloves are warm even without turning on the warming unit. Great service and fast delivery. Would but from this company sgain.